Christmas wonder at Northpoint Shopping Centre with the Back To Ours team. 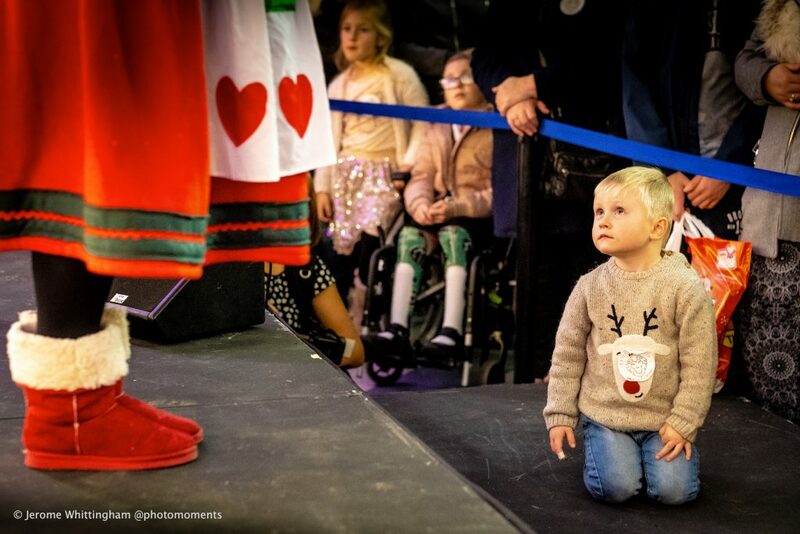 Christmas came early for this lovely little fella on Friday 16th November, as the Back To Ours team created a bit of seasonal spectacle for visitors to Northpoint Shopping Centre’s Christmas lights switch on. Back To Ours and State of the Arts Academy are bringing the panto Aladdin to community venues in Hull from 10th to 13th December too. More details on their website. Be the first to comment on "Christmas wonder at Northpoint Shopping Centre with the Back To Ours team."